In pursuit of a view of the tangle mesh that life develops, we can see how it exploits and creates resources. At a primal level, life is a chemical process, like rust on iron. What distinguishes it is awareness. It actively seeks out resources to create growth circumstances. Sensory interaction with its environment is key for life as it develops features that better situate and sustain it. Sensory systems register input and cause the organism to react. Successful reactive capability grows into species specific instinct memory. From the animal perspective, most resources are a byproduct of our biosphere. Food, danger and peer are at the heart of our existence, we creatures are looking at each other. Plants and micro-organisms are not given much attention, and yet they underpin the existence of animal life. All lifeforms share their existence in communities. The symbiosis starts with the cellular and microbial colony of each complex lifeform and extends to all individuals and cellular clusters in our biosphere. Billions of years and species have given rise to countless conversations. The rich diversity of inter-species conversation continues to reveal itself, adding new languages to the tapestry. These discoveries reveal vocabulary which extends known methods, such as understanding how pheromones intoxicate, adding fullness to a mating performance of colour, movement and vitality. A new family of languages is being revealed in plant life. Plants are the power generators of our biosphere, capturing light for energy and growth. The process began with cyanobacteria some 3 billion years ago, and led to the Great Oxidation Event (GOE). This was the changeover in life from smaller anaerobic (non-oxygen) lifeforms to multi-cellular aerobic organisms (aerobe) that survive and grow in the high-energy, corrosive power of a highly oxygenated environment. Minerals created by the oxygen are also key to building the wealth of resources around the planet. We could say life produced compounds and crystals, the earliest flowers. Archaeological study in the past 200 years has largely focused on the rise of fauna over the ages. It should be recognized that flora has, all along evolved. There are certainly many features about the complexity of plant life that are still not understood. This is a review at some lesser or more recently understood aspects about life’s variety, its drive and communication. Ultimately each bio-rhythmic community furthers our understanding of what is required for humans, as the apex creature, to survives away from the diverse songbed from which we have sprung. A more complete comprehension of the bio-harmony and features of each instrument is key. The memory of goldfish was upgraded to months by scientists and amateurs. Studies show temporal discrimination learning has a residual legacy, which will inform the action of the fish for months afterwards. Testing fish was done with food, showing positive actions rewarded and a memory built on this. Fear is another motivator that shows learned behaviour. The third great motivator for nearly all lifeforms is reproductive, although this is best understood as biological or physiological, not as external stimulus altering / developing behaviour. The three make up the core of what defines instinct. Remembering the smell, the sound, the location of such stimulation for long periods is a test for emotional memory, whereby a trigger relives a stressor or attractor, and the response to it. In Learning strategies during fear conditioning (2009) fish are given the choice to flee or attempt social subordination. They test using socially elevated (read: significantly larger), same trout species to provide the fear. They recognize that only half the small fish population seeks to escape, while the other half ‘submits’ to a more stressful, not necessarily mortal situation. The ability to choose between action and inaction is interpreted as an evolutionary optimization strategy, since either may or may not succeed. Escape from a previously safe, now dangerous environment to an unknown environment is not a survivable guarantee. The same study discusses how levels of cortisol response to stress (heightened glucocorticoid and central monoaminergic response) as contributing between proactive and reactive activity in the face of fear, and stress. Showing blunted responses to stressors leads to proactive, escape impulse. When a species fills a well-established, biological niche, it follows known patterns and behaviours. It happens to all species where climatic changes will disrupt normal routine, and demand the population find a way to adapt. This disruption will cause stress to its members, as they search for options, and an atmosphere of fear and alarm will prevail. As noted, the ‘cool head’ (one not as impacted by fear-induced biochemistry) most often responds to fear with an escape instinct. Success builds the heuristics of decision-making. Frequent successful escape would improve their skills in navigating an escape. For those less likely to displace themselves in difficult situations ranging from annoying to stressful to dangerous, a frequently escaped individual would be a natural guide to follow if it is finally required to escape to survive. In this way, the level head is a natural leader as stress levels increase to become intolerable in others. Cool nerve is displayed in the lead animal of a pack, one less traumatized by sudden danger, and ready for the opportunity to show prowess and cunning. When a certain population had its local water supply dry, escapees may head in all directions to look for relief. Each group has its leaders. Those that find new water sources and survive will remember their lesson, and the individual who brought them there. A population may have moved towards a polar region for heat, drought relief, the same group and in turn faced a transition to winter, another reason escape. Again an escape in all directions is likely not successful for everyone. Those that manage to move back to the original local water supply now past drought and refilled will have two escapes which together constitute a migration. Seasonal and eventually generational reinforcement of the cycle would eventually become a behavioural instinct in the clan or species. Creating such a new cadence or learned instinct into a population or species. It should be acknowledged that to successfully adapt to a calamity is exceedingly difficult. It results from species migration, division and eventual extinction most of the time. Yet the process does promote adaptive leadership as an advantage, especially in prolonged turbulent periods. When stability renders the need for leadership mute, it may become a force of disruption, knowing itself to be advantaged when fear prevails in the population. Beyond the capability to learn and retain memories is the ability to share memories and experiences with others. Lessons in life are provided by parents, family and clan members. By virtue of age, all become teachers. Animals use direct experience and elder guidance when learning about food and risk of being prey. The young learn how and what to eat, and how to avoid dangers. Teaching is seen in nearly every type of animal from ants and bees to humans. There are circumstances whereby animals can transmit a lesson by observation, without direct experience. Social learning is observed in guppies and in blackbirds, where the experience of an individual may direct the response of the group to an unfamiliar stimulus. This allows animals to know a danger or desirable food source by the actions of another. Following the actions of another is a less emotional, not based on memory, but the act itself reinforces the lesson. Instinct is similar whereby a sense of what to do guides individuals or groups, without knowing why, while experience confirms the validity of the instinct. Birds, insects, fish and animals all share this trait. They primarily rely on individual and group instinct, the rules embedded in genes to survive. When instinct fails to safeguard the population and its survival is threatened, a range of survival strategies may be employed, from inaction to various escape actions, all looking for a proper response to stabilize the lifestyle. Three social features combine for a lasting species wide effect. A novel problem presents itself which in turn draws leadership from the population. Successful adaptation is remembered, and passed along into the surviving population. Repeated success of actions become familiar behaviours, eventually imbedding as new genetic memories and instinct. 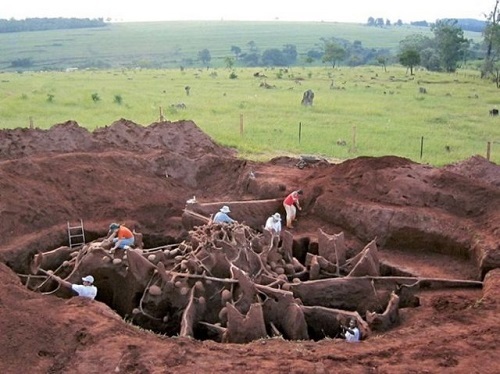 Ants have always provided an intriguing example of communal life, a complex society second only to humans. Colonies of millions of ants live and work in determined unison for the colony. Another feature about 220 new world ant species is that harvest plants to be used as nutrition to grow a fungus. The fungal agriculture / mutualism is said to have evolved some 60 million years ago, certainly far ahead of humans. There is a certain link between emotion and memory. Have / Have-Not states are triggers for contentment or stress. Given that animals have the ability to remember the method to obtain food and reduce stress, it is should be understood memories in themselves carry a certain residual emotion. The emotional memory is one that more vividly remains and is quickly recalled. Requiring a food source, a shelter or means to avoid a large adversarial stressor will kick start those emotional memories into gear more quickly than non-emotive, neutral memories such as seeing landscape. There is a natural correlation between continually facing challenges and emotional memory. Proper memory management can be an advantage as similar future challenges will more quickly offer previous solution methods. In facing new challenges, the individual will draw from a combination of instinct (species specific memories), experiencially similar memories, and observation of others, their reactions, their emotions, both in the same species and in others as heuristic input to new situations and decisions. It may be their lack of movement that relegates plants and flora to a life not driven by the communal and individual. With a bit of quiet and time, we see the movement. We observe growth movement directed by awareness of sun, wind and the neighboring plant, fungus or rock. We note that below ground, roots spread and intertwine to become a rich matted network. For fungus, the mushroom is only their flowering expression of the mycelial underground, while plants use the nutrition of the earth to build-up upwards and add to the biomass from above. The harshness of seasonal change and animal / insect predation requires plants to rush their growth in numbers and work together to optimize their spot in the forest. The 1973 book Secret Life of Plants by Peter Tompkins and Christopher Bird describes experiments done with plants by various scientists and specialists. This book was regarded as making psuedo-scientific claims of plant sentience. One story was of a former C.I.A. polygraph expert named Cleve Backster, who hooked up a galvanometer to the leaf of a dracaena, a houseplant. He claimed that the thought of a fire caused the plant to signal electrically, mimicking a stress. Plants warn neighbors of herbivore attacks, they alert each other to threatening pathogens and impending droughts. Interestingly VOC-induced defense responses—both intra- and interspecies have been acknowledged in several plant species, including lima bean, broad bean, barley, and corn. Zdenka Babikova sprinkled vegetation-devouring aphids on eight broad bean plants and sealed each plant’s leaves and stems inside a clear plastic bag. This was no act of malice, though; it was all in the name of science. Babikova, a PhD student at the University of Aberdeen, knew that aphid-infested bean plants release odorous chemicals known as volatile organic compounds (VOCs) into the air to warn their neighbors, which respond by emitting different VOCs that repel aphids and attract aphid-hunting wasps. It has been noted that the dangers facing a plant and causing it to emit complex organic compounds has been shown to provide no benefit to the endangered plant. Yet a system that is receptive to VOC and other stimuli, and is able to emit them to the benefit of others is a profound biological integration. In this manner the volatile organic compounds emitted and received in plants acts as a nervous system, giving it response and awareness. This allows both the individual and the neighboring plants to share and benefit by VOC messaging. The compounds can also be to repel or attract other species that would help protect them. Beyond avoiding danger, VOC can also be used as part of the plant’s reproductive system. Everyone who has every smelled a flower knows the attractive power of the scent. One example is a study in Science found that the caffeine produced by many plants may function not only as a defense chemical, as had previously been thought, but in some cases as a psychoactive drug in their nectar. The caffeine encourages bees to remember a particular plant and return to it, making them more faithful and effective pollinators. It is well known that animals, both prey and predator, use sound to be aware of danger and opportunity. This extends into realms humans barely hear. A study of the bat and moths reveals that while bats use sonar to locate themselves and their prey, moths themselves also emit sound that mimics bat sonar and acts like a counter. One of the central principles of the Secret Life of Plants was that plants are sensitive to sound. This ranged from classical music and calm voice positively stimulating plants, to yelling and chain-saws that caused defensive reactions in plants. Monica Gagliano has studied VOC-like communication among plants that were isolated from such contact, with the suggestion that sound emmision / reception may be another medium used by plants. Gagliano and colleagues cited a study showing that the roots of young corn plants grown in water make clicking sounds, and that when sounds in the same frequency range were played back to the roots, they responded by bending toward the source. In an experiment, Heidi Appel, a chemical ecologist at the University of Missouri, found that, when she played a recording of a caterpillar chomping a leaf for a plant that hadn’t been touched, the sound primed the plant’s genetic machinery to produce defense chemicals. Another unpublished experiment, done in the lab of Stefano Mancuso, found that plant roots would seek out a buried pipe through which water was flowing even if the exterior of the pipe was dry, which suggested that plants somehow “hear” the sound of flowing water. Interesting is the noted Pando Stand of quaking aspen trees in Utah’s Fishlake National Forest. The shared root system and cloned trees are a single organism, estimated to weigh some 6,615 metric tons and covering 420,000 square meters. It is the largest known largest plant in the world. Scientists have estimated the Pando stand to be anywhere in between 80,000 and one million years old, although cattle and unpredated deer populations have kept it from next generation growth. Another even larger lifeform is the Blue Mountain honey fungus in Malheur National Forest, Oregon. It is spread underground over 10 square kilometres, and is said to be from 7,567 to 35,000 tons. It is said to be from 2000 – 8500 years old, and is the largest of 5 similar individual genets in the same area. 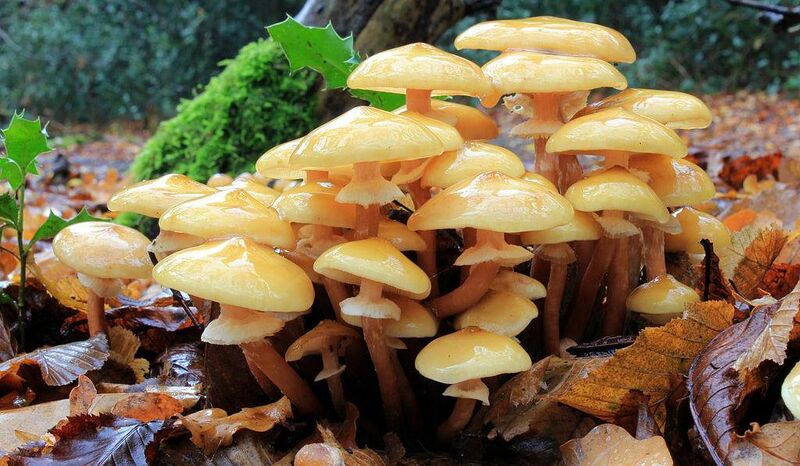 Armillaria ostoyae, commonly known as the “shoe-string” fungus, parasitizes, colonizes, kills and decays the root systems of various conifer hosts, resulting in what forest managers know as Armillaria root disease. While being a pathogen and tree-killer, Armillaria ostoyae can also maintain itself in dead woody material for many years as a saprophyte. armillaria disease center with dead and dying trees on the periphery and dead down trees in the center. Note the young trees filling in the disease-created opening. This root disease center is in Genet E.
It should be noted that trees are able to grow within the bounds of the organism, meaning fresh conifers are able to take root and grow. In this capacity, the fungus acts as a plant farmer. The boreal forest, or more accurately the taiga is Earth’s single largest biome. This forest is 14% of the Earth’s land surface (nearly 2 billion hectares, 1/3 of the forest worldwide), nearly ringing the Arctic. The forest floor has root systems that actually cross species, where spruce trees have symbiosis with mosses, keeping out undergrowth in return for the added moisture moss gives the forest floor. Another feature is being able to control squirrel populations by having all trees suddenly not produce as many seeds, or following up with a bumper seed year. 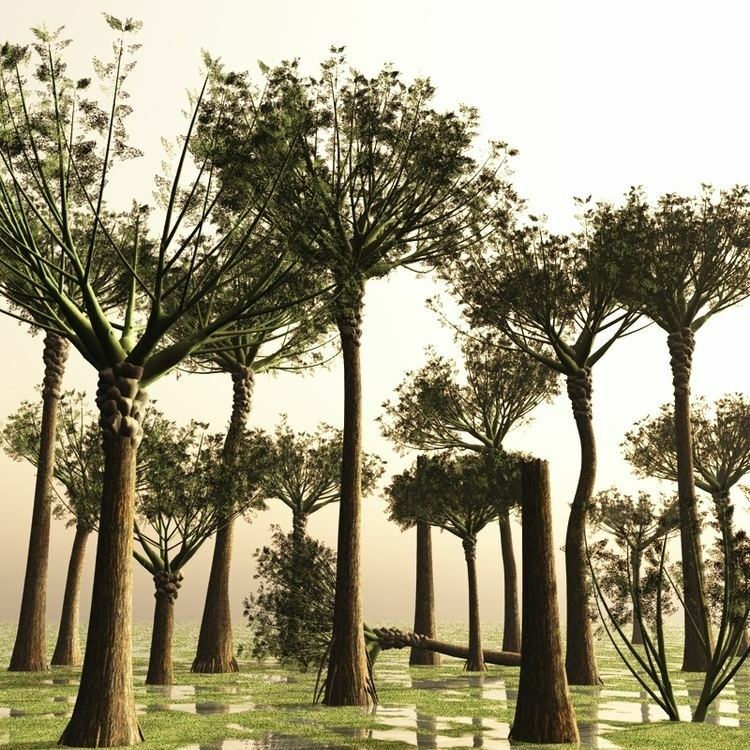 Another claim was that trees could also produce a chemical that promoted rain, and in doing so change weather. Such a large forest is able to hold, release, and receive atmospheric moisture. The transformation of glacial scrubbed rock into arable land begins with lichens and mosses. This adds a more moist, nutritional layer where hardy grasses and plants can take hold further develop the ground layer ahead of forest cover, as conditions warm. Large complex biospheres are able to adjust and mitigate environmental challenges. To their credit, trees and forests are responsible for pulling life from the sea into freshwater and on to land. 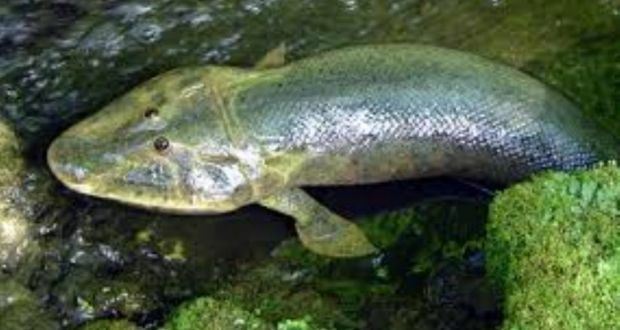 The ancient tree, Wattieza gave much needed shade and organic litter 385 million years ago, enough to allow species such as Tiktaalik to transition to a semi-land environment only a few million years later. There is an innate quality to life to be aware and manipulate its environment. Cummulative food, reproduction, death cycles build into complex biological systems of populations among other species, both past and present. Our advanced biosphere has a massive life system. Put us in a closed ark and we know we can’t survive on lettuce, or potato alone. But it is more complicated than just adding a dessert, although that helps. There is value in knowing what is required for multiple timeframes, for a year, ten years, a thousand years. Certainly new environmental features such as more gravity, less sun, increased solar rays, and smaller habitable and closed systems will add to the complexity of sustaining manmade biospheres. Success in transplanting humans and their companion species also must work without the benefit of millions and billions of years of adjustment. The longer the duration away from Earth, the more genetic adjustments in the local population will be seen. One feature that genetics and current human spaceflight share is the push for redundancy systems. Genetic experience and cosmonauts know that to better avert catastrophic collapse, an abundance of spare parts is a requirement in the isolation of space. Having a robust genetic pool to draw from for a new bio-system best assures successful rebalance in the face of dramatic, possibly cascading environmental challenge. Humans, with their ability to manipulate their environment are poised to extend the jurisdiction of Earth’s life to other worlds. To do so successfully, there needs to be a more thorough understanding and sensitivity to ecosystemic accord. We must appreciate that our species must travel as a multi-species cohort, an ark. We are the ark builders and must become better keepers of our support host. Chickens and corn may be on the invite list, but so also nitrogen-fixing bacteria and crickets. We are at an evolutionary moment equivalent to abiogenesis, 4 billion years ago and the great oxygenation event, the first biological transformation of the Earth. Of note is that trace evidence of life is found only 500 million years after the formation of the planet. If proper conditions are what is required, plenty of star systems have existed in the past 14 billion years of our universe with planets with a variety of life possibilities. Our continued willingness to locate life elsewhere in our universe will probably lead to it. It is in our core instincts to seek it out and our skills improve changes of finding it. At this point it is an eventuality that other life will be found. It’s probably in our best interest to not find it for centuries, and to cross a biosphere closer to its conception, a less tangled bio-rhythm. This would better ensure survival of our own.